Based in the heart of the British Crystal Industry, our staff at Executive Crystal have over 30 years experience in supplying Corporate Glassware to U.K. Blue Chip Companies. Our Craftsmen are now a select few of time served apprentices still practicing their skills producing the finest quality crystal giftware which we now offer to you. 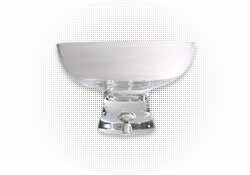 Leading supplier of glassware to the UK Corporate Market. "Back in January, you kindly produced two Large Old Fashioned Tumblers to our special order. They were beautifully executed, and despite a tight schedule, they arrived ahead of the required date. In this time in history, when people spend their time in complaining and throwing writs around, it is refreshing to be able to say "Well done". D.A. 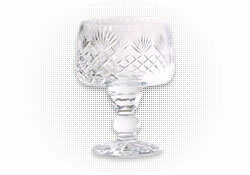 Jackson, Royal Artillery Association"
For more than a decade the name Executive Crystal has become synonymous with elegantly crafted glassware and customer service levels second to none. 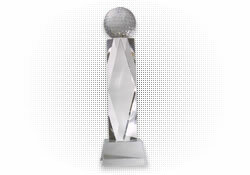 We offer a service whereby we can engrave crests, logo's or text onto a varied array of glassware and we pride ourselves on being able to offer a wide variety of Trophies, Awards and Presentation Glassware tailored to suit our customers individual requirements.